Home and Patio continues to serve as Houston’s finest store for outdoor living. 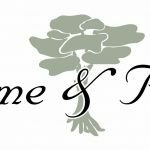 Spanning almost 40 years and 3 generations, Home and Patio combines the area’s largest selection of furniture and unique personal attention that keeps our customers coming back year after year. If you are looking to design your new outdoor living room, spruce up your pool, or just add a bench to complete your garden, Home and Patio can work with your budget. We are the only patio store in Houston that has a warehouse onsite so there is no waiting. We also offer delivery in a 100 mile radius. We pride ourselves in giving you the finest furniture at the absolute best prices. Check out our website and then come in and experience what makes Home and Patio so special. Home and Patio offers delivery and setup services up to 200 miles from Houston. Whether it’s just around the block or across state lines, Home and Patio can deliver and setup your furniture. Ask for more information on pricing and availability.